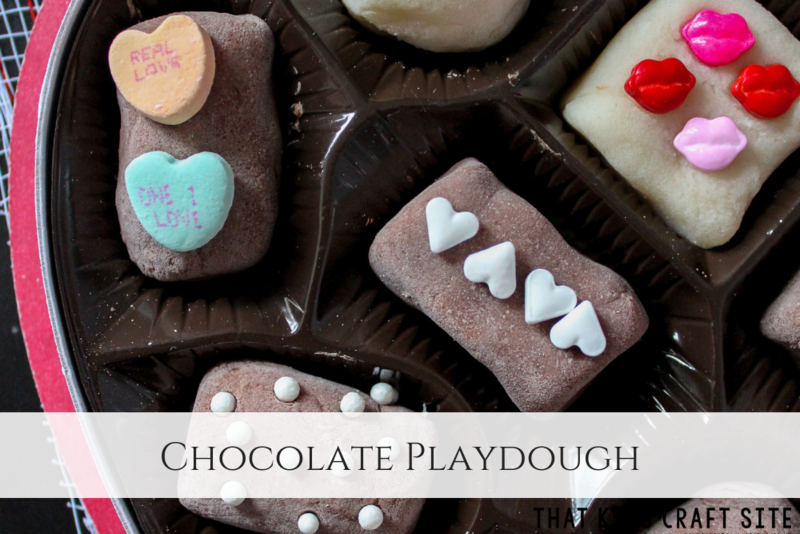 Get ready for Valentine’s Day with this easy chocolate playdough recipe that can be turned into a beautiful box of chocolates! Don’t worry, this playdough is completely edible! 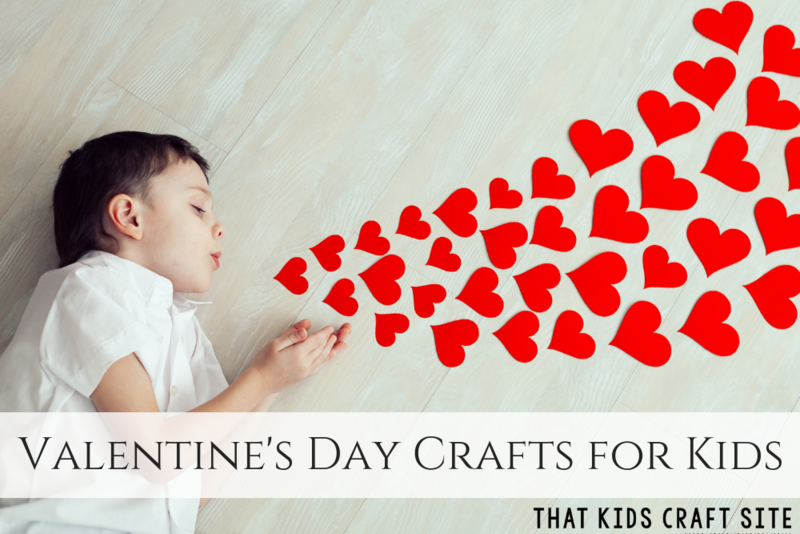 There’s something magical about pretend play and when it involves chocolate, playdough, and Valentine’s Day it’s even more special! Edible chocolate playdough?! Yes, please! 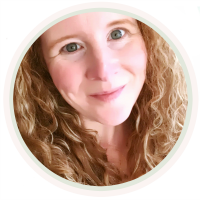 As a former teacher and mom to three, playdough was our daily go to for fine motor skill development and creative play – especially when the kids were doing homeschool preschool. This Valentine’s Day box of chocolates is the ultimate Valentine’s Day station for any preschool classroom or preschool at home! The great thing about this chocolate playdough recipe is that it’s not difficult at all. It’s completely edible, so you probably already have the ingredients in your kitchen. 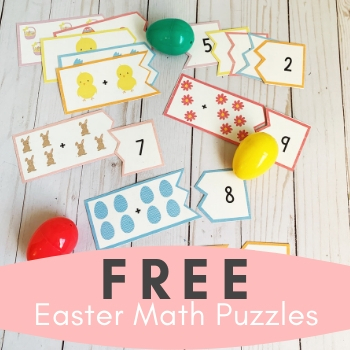 The only thing you might need to stock up on is cream of tartar, but if you are a playdough aficionado (aka mom or teacher of children under the age of 5), you probably have that in the kitchen cupboard as well! Kids can help you make the playdough all the way up until the point where you put it in the pan on the stove and stir until it gets that wonderful playdough consistency. For this box of chocolates, we used an old Valentine’s Day heart box that once held real chocolates. Those are now in my belly, so recycling the box seemed like a good idea. If you don’t have a heart-shaped box, I give you full permission to go buy yourself a box of chocolates. 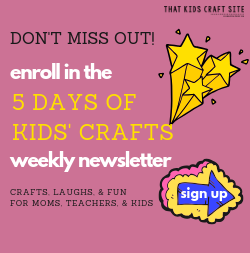 After all, you’re doing it for the good of your kids’ crafts, right?! Don’t worry, I have your back. After whipping up the playdough, simply shape it into little balls and rectangles and you’re ready to go! The playdough isn’t going to taste sweet, so kids probably won’t want to eat it (which is good), but in case they take a nibble you’ll be able to relax knowing it’s completely edible. 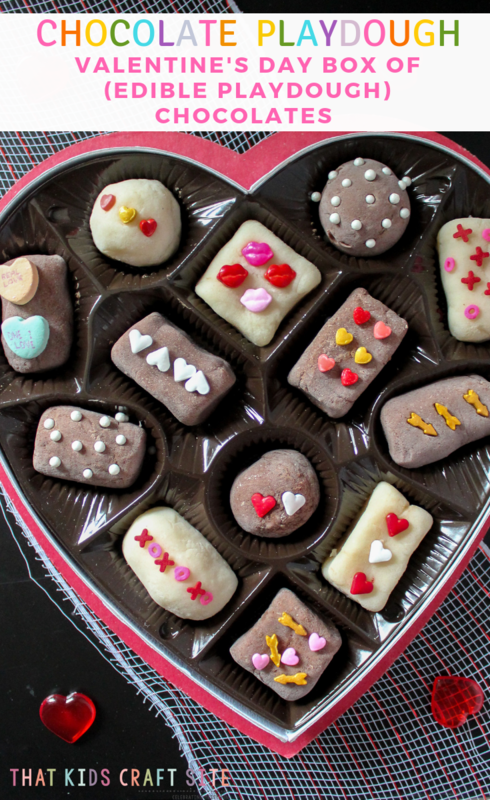 Have a blast making your Valentine’s Day Box of Chocolates! In a bowl, mix 1 cup flour, ⅓ cup salt and 2 teaspoons of cream of tartar. Add 1 cup of water and 1 tbsp vegetable oil. Mix well. Divide into two batches. One will be the white chocolate and the other will be the milk chocolate. Add 2-3 tbsp cocoa powder to the milk chocolate play dough batch and mix well. Pour one of the play dough mixes into a saucepan that is set to low medium heat. Stir until the play dough forms. Turn onto a piece of wax paper to cool. Add the other playdough mix into the saucepan and repeat. Once cooled, get a dish with Valentine’s Day sprinkles and candies. Give your child an empty box of chocolates and allow them to create their own Valentine’s Day box of candy – playdough version! Did You Make Chocolate Playdough Candy? Take the Chocolate Playdough Recipe with You! Get ready for Valentine's Day with this easy chocolate playdough recipe that can be turned into a beautiful box of chocolates! Don't worry, this playdough is completely edible! Once cooled, get a dish with Valentine’s Day sprinkles and candies. 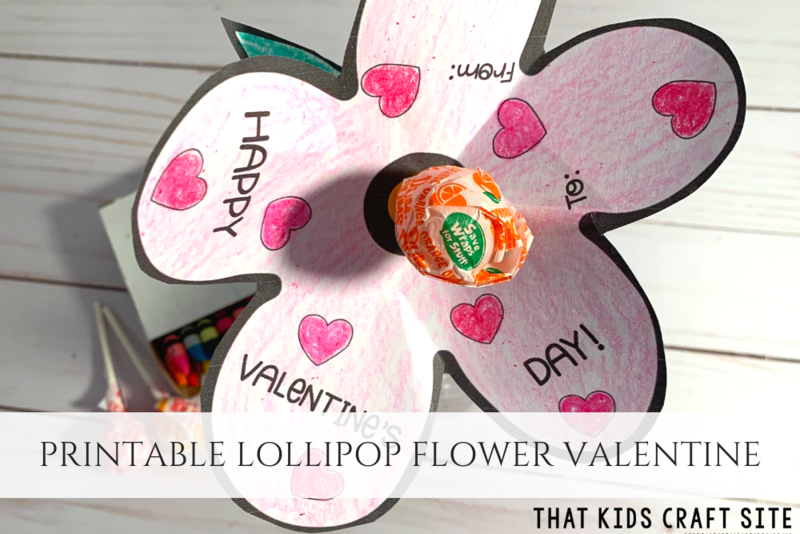 Give your child an empty box of chocolates and allow them to create their own Valentine's Day box of candy - playdough version!